In the spring I was weeding in the backyard and came across these beautiful, dried chinese lantern pods. The winter weathered the pods until there was only a skeleton remaining, but one or two still had a bright orange seed inside. I loved the contrast between the desiccated, delicate veins of the "balloon" and the vibrant, lively-hued seed. 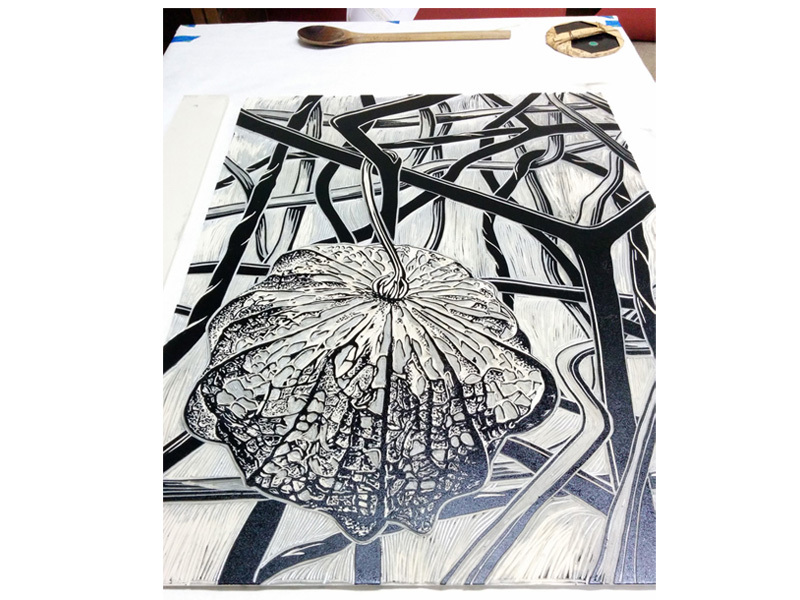 Each print was hand-burnished and printed using oil-based ink on cotton paper. Visit my blog, Nessy Designs,for further details about the process and more images. The video below shows me burnishing and pulling a print. This version of the print is the same as the print above with the addition of a hand-painted watercolor background. Each print is one-of-a-kind. 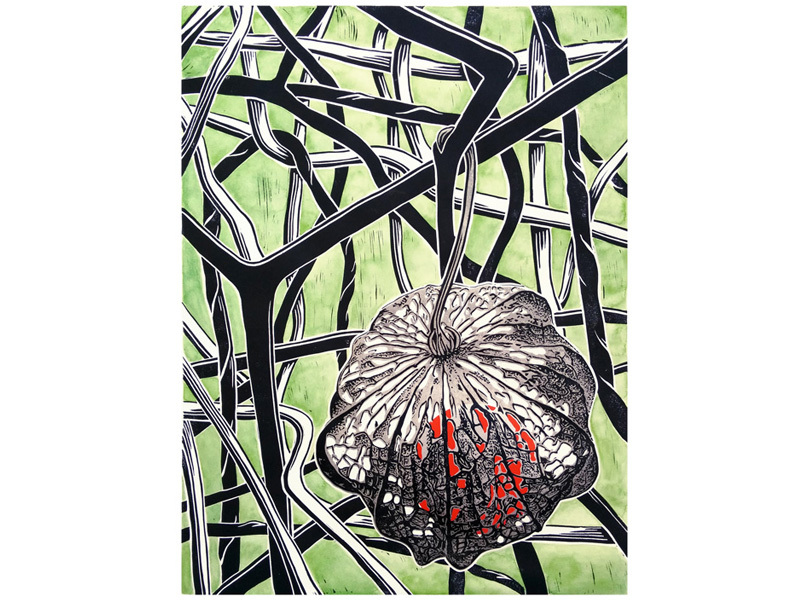 * The "White Background" and "Hand-Tinted" Chinese Lantern prints are part of a variable edition of 10. Thus the number of "White Background" prints depends on the demand for "Hand-Tinted" prints.